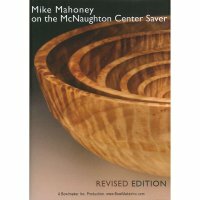 When coring bowls with the McNaughton-System you produce several bowls from one piece of wood. In this DVD, Mike shows you his approach, from lathe basics and chucking methods, to selecting, maintenance and use of the different tools. Advanced techniques for turning nested bowls are also included for those who want to indulge further in coring bowls.